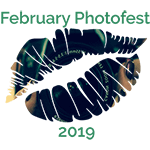 February Photofest 2019 - Day 5 - Toy for Sir - February Photofest 2019! For years I struggled with my breasts. They were always big and I was teased relentlessly in school because of it. I started having back and shoulder issues and the doctor suggested a reduction. I was thrilled! Even more so because my insurance was going to pay for it. I was in my late 40’s before the surgery and the only regret was that I didn’t do it sooner. The doctor warned me I could lose sensitivity due to the process of the procedure. I never got pleasure from my breast and I am sure this is due to feeling subconscious about them. I didn’t mind if they didn’t have sensation. Sir was concerned and while we weren’t all in at the time, he was supportive as a friend. Afterward, he told me he liked my big breast and that gave me pause. No one had ever told me that and I always just thought they got in the way. My relationship with them was two or three sports bras if I wanted to work out, not being able to wear button down blouses and always feeling like no one ever saw me, they just saw my breasts. I wasn’t Dolly Pardon big, but after I was measured, I was about a “J”. I didn’t even know the sizes went that large, but I knew I had spent years shoving them into DD bras because I couldn’t find any bras (retail) that would fit me correctly. So when Sir said he liked them, I had some regret that I had the reduction but on a whole, I am glad I did it. We use to joke that now I had surgically perfect breasts. I did not lose any sensation from the surgery. In fact, they are more sensitive and I enjoy it not when they played with, pulled, sucked, pinched. It always takes my breath away. In one way, because I am happy they are working and the surgery didn’t cause a loss of sensation. In another way, because I can finally enjoy them and appreciate them. I rarely see the scars. The surgeon was a magician and my scars are minimal and barely noticeable. When I took this shot, I couldn’t see the scar until I made the photo black and white. It’s small but its there. All the “marks of age” that my body is showing, wrinkles, sun damage, stretch marks, loose and hanging skin from an 80-pound weight loss, and others, this scar doesn’t bother me. Perhaps that is why most of these photos have revealed little else but my breasts. I am comfortable with them. I don’t mind showing them off. Click on the kiss to see other amazing photos! I’m loving this B & W edit and I appreciated the backstory which accompanied it. Thanks for sharing.